We are very proud to continually receive wonderful feedback from our guests. "The early morning safari walks with our scout Chris and his in-built GPS were a real treat, but nothing could prepare us for the afternoon when he led us down-river to watch a group of elephants frolicking only a few metres from where we sat. A truly memorable experience! The day's activities were rewarded with delicious meals, each served on a more picturesque and romantic deck than the last. The team behind the food preparation, service etc are the same local villagers who built the amazing structures which is a real credit to the management and it is a great pleasure to get to know them all." "The room (and there are only 4!) looked out over the beautiful river Bua, what a fantastic view to wake up to! Everything you need is in the room, great shower facilities, sunken spa bath, electrics and an awesome king size bed with the biggest mosquito net you could ever imagine!" "Wonderful sights and amazing experience - all in a remarkable, stunning new building with sustainability at its heart! We must return." "The main lodge, particularly the series of decks, just invites you to sit around and read, chat, and watch the wildlife. But it's tearing yourself off what may well be the comfiest chairs in the world and doing some walking that's the fun part. Having been now on several safaris in SA, Zambia and Namibia, we can say that Tongole genuinely offers a level of remoteness and variety you won't see anywhere else." "The most beautiful way to end my trip to Malawi. A special journey returning to my childhood home, made even more special by the care and attention given to me by all the staff at Tongole. A stunning place and hope to return." "To sum things up, my wife and I have stayed at most of the top Mayfair hotels and many 5* venues in international cities, as well as ski-ing holidays, villa stays etc. However, we have never cried on our departure before - ever! My advice is "Go" - think of it as the holiday of a lifetime - but, like us, I bet that you'll want to go back!" 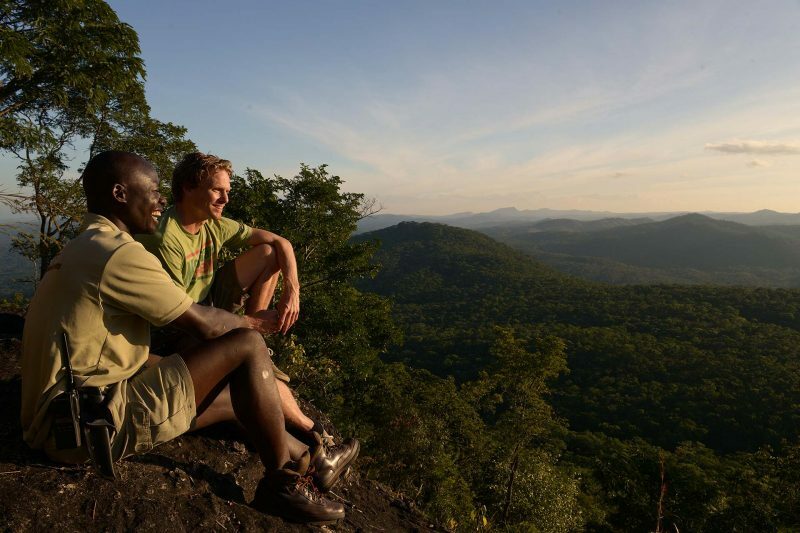 "We enjoyed kayaking, fishing & even climbed to the top of Mount Kasukusuku beating the record time by 1 minute! As well as seeing Elephants, we saw bush buck, water buck, crocodiles, Baboons, African Fish Eagles & many more fantastic birds & reptiles... The staff were knowledgeable, polite & friendly & a joy to get to know! " "The food was excellent, the service was attentive and they could not do too much for us. We enjoyed an early morning guided hike through the forest to the top of the local mountain, with amazing wildflowers and spectacular views; a canoe trip where we saw lots of birds, including fish eagles, as well as spotting buck and some baby crocs; and had plenty of time to relax in the lodge, read, take in the sun and chat with the friendly and knowledgeable couple who manage the place as well as with the guides." "The food was the best I'd eaten in Malawi and it was wonderful to see fresh, cold salad!" "A great deal of thought has clearly been given to the design, layout and positioning of the main lodge, and the individual dwellings are spacious and cleverly equipped with all modern amenities, following a natural theme very much in keeping with the beautiful surroundings." "The food is excellent, and as vegetarians we were well catered for. It was especially nice to have meals planned that took into account that vegetarians don't just eat vegetables. As a huge bonus during our 7 night stay we had no fewer than 3 elephant sightings - on 3 consecutive days. They crossed the river directly in front of the main lodge and as one of the occasions involved 53 elephants each event took a couple of hours."